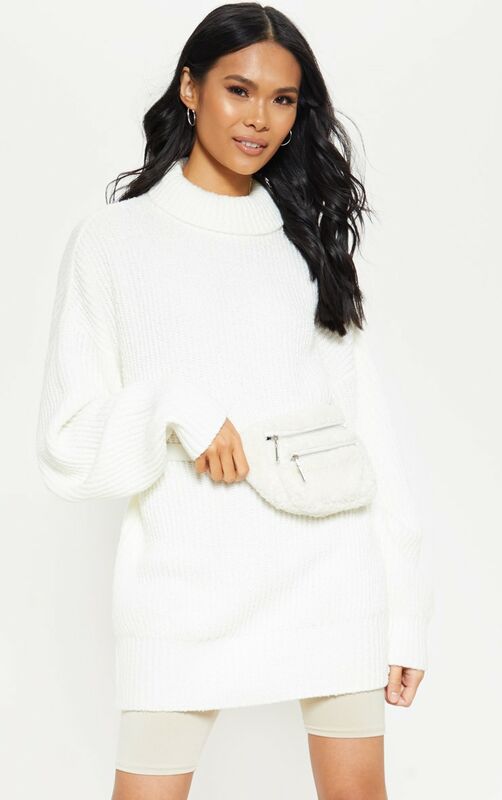 Oversized jumpers are perfect for any occasion. 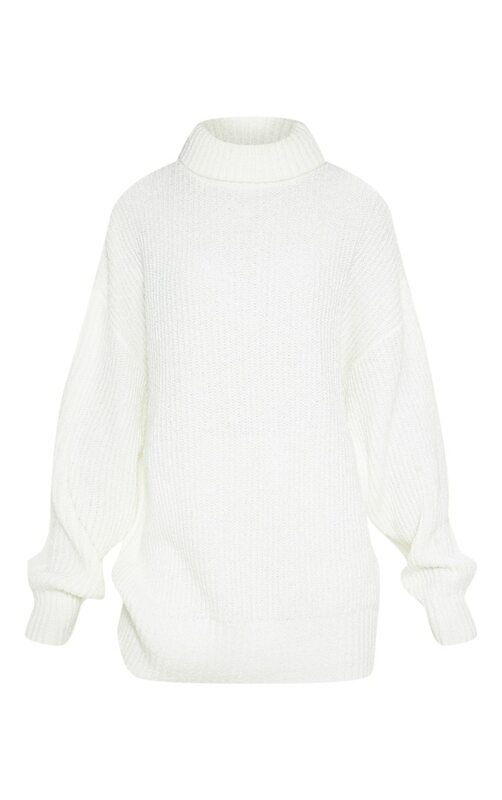 Featuring a cream boucle knit material with a high neck and an oversized fit. Team this with cycling shorts and western style boots for an off-duty look we are loving.